Before putting Easter eggs in movies became the craze it is today, I Am Legend included a Batman Vs. Superman Easter egg that has grown to legendary status. 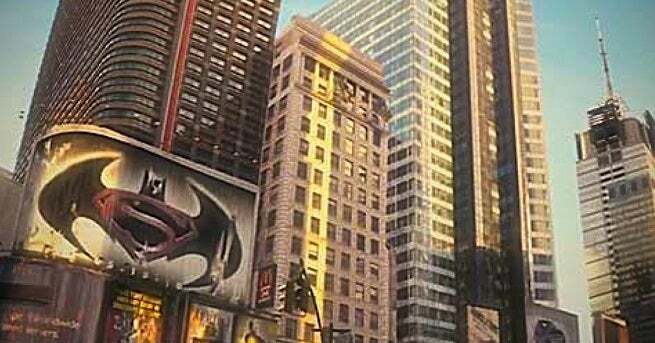 In a scene set in Times Square in I Am Legend, Will Smith’s character Robert Neville passes by a large billboard promoting a Batman and Superman movie. Of course, I Am Legend was released back in 2007, which was many years before Zack Snyder’s Batman V. Superman: Dawn of Justice movie was announced. Every couple of weeks, the image seems to make the rounds on social media, along with the question of how I Am Legend predicted the Batman Vs. Superman movie. In an interview with I Am Legend director Francis Lawrence, Collider got to the bottom of the mysterious billboard. Lawrence explained the reason that it was there is that the producer and writer of I Am Legend, Akiva Goldsman, actually wrote an early draft of a Batman and Superman movie. However, the movie never got made as the script wound up getting dropped, and Christopher Nolan launched his trilogy of Batman movies instead. Lawrence and Goldsman decided to include the Batman and Superman logo as a fun idea of what movies would have been released when the plagued hit. Lawrence also revealed that when he recently ran into Goldsman that he told him that they never even got permission from Warner Bros. to include the Batman and Superman logo. However, since I Am Legend was a Warner Bros. movie they really couldn’t sue themselves.